Ever seen a breast cancer Christmas tree--in September--or anytime? The Fabulous Belles of a Jacksonville Red Hat Society decorated, not just the tree, but also Buddy Bras. JACKSONVILLE, Fla. -- Ever seen a breast cancer Christmas tree--in September--or anytime? 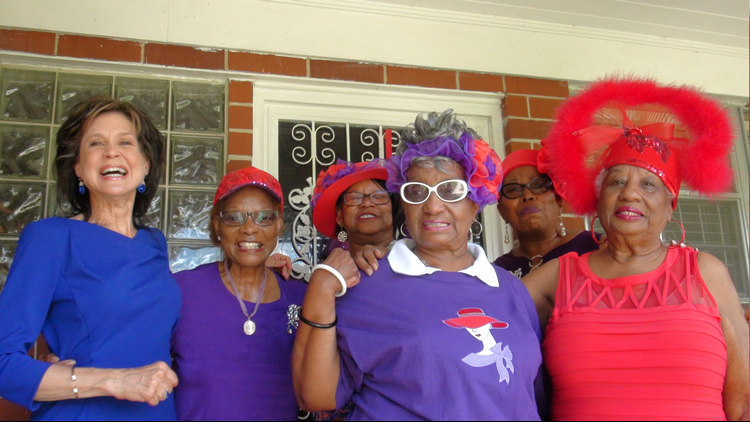 The Fabulous Belles of a Jacksonville Red Hat Society decorated, not just the tree, but also the Buddy Bras. It's all to raise money for the Buddy Bus, a mobile mammography unit First Coast News, together with Baptist/MD Anderson, is trying to purchase. The cost is $1 million for the state-of-the art technology. So far we've raised $58,936. The Buddy Bus would travel to six local counties to help women catch breast cancer early. Yes, there's a long way to go, but our First Coast community is known for supporting the fight against breast cancer. The Red Hat ladies had a get together to decorate Buddy Bras. Their Buddy Bras turned out full of bling and feathers. The ladies said they have such fun with their creations. A big thanks to Frankie and her Red Hat sisters! They raised $800 towards the purchase of the Buddy Bus. Can your group decorate Buddy Bras? Each bra is a $20 donation to the Buddy Bus. It's all tax deductible. Your group can plan your own event. 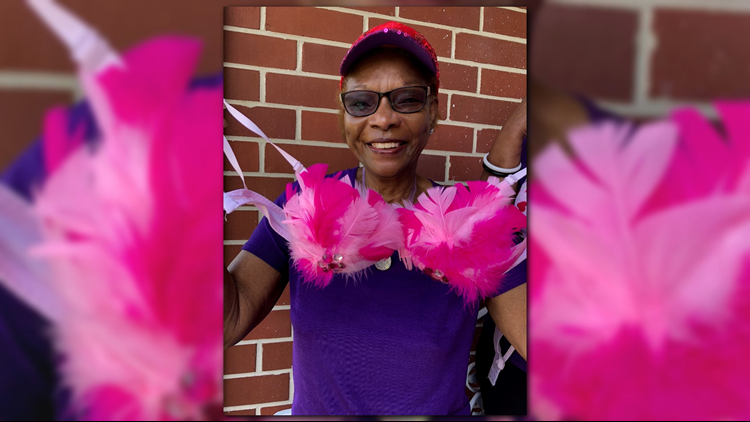 The Red Hat Society will offer more Buddy Bras to decorate at its 2018 Annual Gala, Diamonds and Pearls. It will be at the DoubleTree Jacksonville Riverplace located at 1201 Riverplace Boulevard, on September 23 from 2 p.m. to 6 p.m.